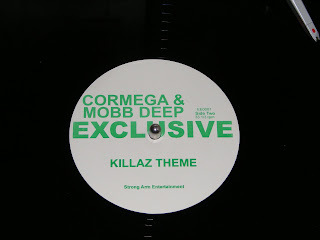 This is the second in my series of dodgy 90's bootlegs and this time its the turn of Mobb Deep and Cormega. I picked this up in the long since closed Unity records in London's SoHo back in the late nineties. Its a dope Havoc produced Mobb Deep and Cormega joint that I've only ever seen on this particular bootleg although it was rumored to be from the original version of Cormega's shelved Def Jam album Testamant.